While the weekend was rainy, these days have been warm and stuffy. Again, I had to change my wardrobe staples for something lightweight. For today's outfit, I brought back the floral prints and the girly style: dress; bucket bag; sandals; small earrings; chain bracelet and sunglasses. This look is amazing for a garden parties and any outdoors events in the mornings. The minimalist accessories highlight the floral printed dress! Enquanto o fim de semana foi chuvoso, esses dias têm sido quente e abafado. Mais uma vez, tive que mudar minhas peças do guarda roupa para algo leve. 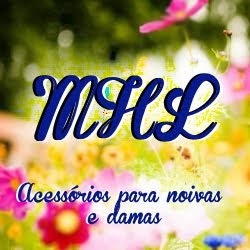 Para o look de hoje, trouxe de volta as estampas florais e o estilo feminino: vestido; bolsa sacola; sandálias; brincos pequenos; pulseira de corrente e óculos de sol. Este visual é incrível para festas de jardim e eventos ao ar livre no período da manhã. Os acessórios minimalistas destacam o vestido com estampa floral! This is all sooooo lovely!!!! Love the dress!Its really beautiful! I like so much the bag! Primeira vez por aqui e já estou seguindo! Adorei o post, hoje mesmo irei postar um look com saia floral! Beautiful dress and beautiful shoes! This outfit is so lovely! Amazing post!! I love floral pattern!! Really inspiring! Adorei sua montagem, tinha um site que fazia isso, mas não lembro o nome você usa ele? A inspiração floral como look jardim ou piquenique, ficou ótima. Amazing selection! I love the print and the fresh style. I just love floral dresses :) so cute! So pretty! Loving the florals and that bag is amazing! Um vestido bem fresquinho e com cara de verão. Gostei. Beijinhos! 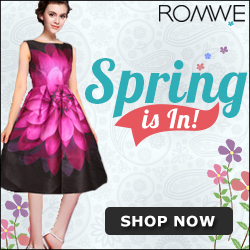 One of the prettiest floral dress I have seen. feminine romantic and darling ensemble!! Great combo, i love it! loving these florals! so pretty! Apaixonei na bolsa! Estou louca atrás de uma desse modelo. The dress looks very pretty! Que fofo! Super combina com nosso clima dessa estação!